Cellular technology and the Internet have completely transformed communications in the 21st century. Think for a moment: If suddenly your computer, TV, and cell phone stopped working, how would you communicate with others? Where would you go for information? The reality is, in the case of an emergency, most people would be completely cut off from the world, reliant on new technology that would cease to function in a disaster. Don’t be one of those people; in this article, we’re going to provide all the information you need to select the best emergency weather radio that will keep you in touch when all other communication mediums fail. Not your father’s transistor radio: Technology has come a long way, making emergency weather radios portable and self-powered. In the case of disaster, an emergency radio will allow you to receive signals modern technology can’t, and stay current on important information such as weather or updates on the disaster situation. NOAA Weather Radio broadcasts on frequencies not accessible to standard radios, such as the one that may be in your car, and is able to receive vital updates from the National Weather Service in the case of severe weather such as hurricanes, tornadoes, and flooding. Stay informed of events around you so you know when to bug-in and when to bug-out. When there’s no power, most emergency weather radios have additional features to power the device via solar or hand crank. When all other technologies fail, if you have an emergency radio, you will have access to information about road closures, the direction of the storm, where emergency shelters are located, and whether or not armed forces have been dispatched. With this knowledge at hand, you can better plan your next course of action; whether that be to stay put, or head out in a vehicle or on foot. During a wildfire, air quality warnings and evacuation information is broadcast for your safety. The best part is, unlike most survival gear, there’s no need to store your radio away until it’s needed – you can use it every day! It works just as well as a standard radio and can be used to monitor weather alerts, receive current news, or listen to your favorite music station. While emergency weather radios do share many features with standard radios, there are certain functional requirements you will want to specifically look for in your emergency radio including tuning, sound quality and options, power source and battery life, durability, size and weight, and multipurpose options. AM/FM, weatherband, and shortwave capabilities will give you the most options as the sensitivity of a radio determines how many stations it receives and the quality of reception. NOAA uses Very High Frequency (VHF) waves, transmitted using narrowband FM; most emergency radios will have a feature (either a sound or light) that will alert you when severe weather or other emergency broadcasting is taking place. Specific Area Message Encoding (S.A.M.E.) is also used by NOAA and the Emergency Alert System (EAS). An emergency radio with S.A.M.E. technology is capable of customizing alerts to your specific area; some even have the functionality to turn off the alert at the End Of Message (EOM) prompt, so that the alert doesn’t continue after the first transmission has played. Tune in to emergency broadcasts to follow events in your area and stay informed of health and safety guidelines. In terms of digital vs. analog, digital tuning is much easier to accurately tune and program; however, an analog tuner presumably won’t be affected by an EMP event, whereas a digital system may become unusable. Emergency Radio Fact: In testing your emergency weather radio, you may notice that more AM stations are received at night; there is a simple explanation for this. Daytime AM waves travel over the surface of the earth through a phenomenon referred to as groundwave propagation; generally, these waves reach no further than 100 miles. At night, reflection from the ionosphere, known as skywave propagation, increases the distance that AM waves can travel up to 100s of miles. Things to look for: Maximum volume of audio, auxiliary input, headphone jack, mono or stereo. When checking for sound quality, the maximum volume of the speakers will be measured in decibels (dB); often referring to as sound quality from a specified distance away, such as how loud the sound will be at one meter from the radio. An equalizer setting is of little use for emergency purposes, but if you plan to use your radio on a daily basis for things such as news or music, you may want to look for a radio offering optimized settings for talk radio and various music genres, as well as indoor and outdoor use. In terms of additional options, look for radios that offer headphone jacks and auxiliary input for playing audio from another device. You may want to listen to disaster reports through headphones in front of children so you can filter information that may be scary to them. This is also a helpful feature in noisy areas. Things to look for: Solar or hand crank capabilities, as well as plug-in feature for regular use; battery life. Power versatility is a key feature in an emergency radio; look for radios with at least one alternative means for powering. The more options you have for powering your radio, the better your chances of staying connected; radios that run only on batteries require a backup supply and you may face the possibility of running out. The hand crank is a simple, yet effective, form of power. Hank crank radios convert mechanical energy into electric energy, which is then stored in a rechargeable lithium ion battery. The efficiency of these systems varies greatly, but typically two minutes of cranking will provide five minutes of radio use at full volume; while that may seem like a lot of work for limited use, it is very dependable and always available. Power up with a hand-crank anytime, anywhere so you don’t miss important alerts. Image via Alan Levine on flickr. Another common source of energy is a solar cell. You will find that some radios can run directly off solar power while others need to charge the battery, then run off stored energy. This method is of course limited to daytime use and may take up to six hours to fully charge a battery. If your radio comes with a rechargeable battery, you should also have an AC adaptor or USB that will charge directly when power is available, such as at home. Similar to solar powered radios, some can run directly off a connection while others need to charge first and then run. This radio stores the AC cord right on the back so it’s always ready when you need it. Click to view on Amazon. In addition to your radio, you can also charge other electronic devices via mini, micro, and USB ports. Whether or not you can fully charge a smartphone depends on the battery capacity and discharge rate, but for emergency communications, this can be very helpful. Power up your cell phone to touch base with family or make emergency calls. Whichever option you choose to power your radio, it’s extremely helpful to ensure there is some type of battery life indicator; this way, you will know when your battery is running low and can adjust your usage or seek out another power source. Things to look for: Water and drop resistance, general construction, antenna, and buttons. We were very surprised that only a few of the emergency radios we reviewed listed water and dust resistance ratings. Ideally, any device designed for outdoor usage should be splash resistant, but to be safe, we recommend tucking your radio in a plastic freezer bag to keep it protected when not in use. You never know what conditions may arise so the sturdier the radio, the better for bugging out. 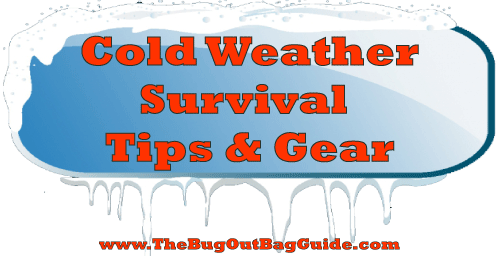 To ensure your radio functions when you need it to, choose one with a fold-away hand crank and antenna; this way, those items are less likely to be damaged when packed in a bug-out bag. Additionally, a rubberized finish provides better grip – as does a lanyard or handle – and some models even have protective roll cages to withstand a fall on the ground. If you’ll be heading for the hills in an emergency, these are the must-have features. Things to look for: Ease of transport. When prepping your bug-out bag, size and weight are of utmost importance. Many emergency radios weigh less than one pound and some are even small enough to fit in a pocket. If you plan to bug-in, or store your radio at your bug-out location, you may want to prioritize other features over portability. Added features are always a plus as they can help reduce the weight of your bag by combining several different items into one. Emergency radios can come equipped with a plethora of useful, additional features, including flashlights, compasses, strobes, sirens, and whistles. 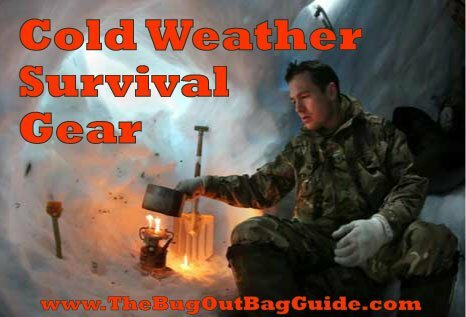 For more multipurpose tool ideas for your bug-out bag, CLICK HERE. In addition to the USB port for charging other devices, the Eton Scorpion II has an integrated caribiner for clipping to a bag or belt. Click the image to view on Amazon. The following table showcases our picks for the 10 top emergency weather radios as well as key features, weight, and price range. To view the item and its current price on Amazon, click the accompanying image. This particular emergency weather radio has more of a countertop design and is less suited for travel. It receives NOAA and Environment Canada alerts using S.A.M.E. technology as well as an audio alarm to warn of extreme weather in your area. It can be programmed to receive alerts from up to 23 counties, which can be especially helpful in areas prone to hurricanes, floods, wildfires, or tornadoes. For those that are hearing-impaired, it has a lighted display that features a text warning message along with the county the alert was issued in; it also displays “EXP” when a particular alert has expired. You have the option to silence test alerts and weather watches while still being cognizant that one has been received through an indicator light; should a watch turn into a warning, your alert will sound. One drawback for this particular radio is that it does not recognize EOMs and automatically returns to standby five minutes after the EOM prompt; however, you have the option to manually mute the alert at the end of the message. Another issue is that the headphone jack is mono and not stereo, meaning sound will only come out of one earbud; however, you can correct this with a adaptor to make it double monaural, which will produce sound from both headphones. In addition to emergency broadcasts, it functions fully as a clock radio with alarm and is therefore a good bedside radio for everyday use. An AC adaptor is included and four AA batteries can be used as backup should the power go out. The Eton FRX5 is an all-around great emergency weather radio, but its standout feature is the efficient power system. Its hand-crank will provide thirteen minutes of listening after only two minutes of cranking – more than double the average for crank radios. When plugged in using the AC adaptor, a full charge is achieved through the lithium battery within five to six hours. At maximum volume (an impressive 90 dB at one meter), the radio will play continuously for over fifteen hours. It uses AAA alkaline batteries and also has a high-efficiency solar panel that will keep the battery topped up when in use or fully charged after five hours of direct sun. This outperforms the solar panel systems previously discussed, making the Eton our pick for best battery life. Additionally, this radio charges devices quickly over an extra fast USB output of 5V 2.1A and receives AM, FM, and NOAA; it also has S.A.M.E. technology and works well even in remote areas. You can program up to 25 locations from which to receive local reports and alerts. Bonus features: Splashproof with IPX4 rating, headphone jack, auxiliary in jack, glow in the dark locator, LED flashlight and red emergency beacon, and alarm clock. Weighing less than half a pound, the WR-111B is perfect for use in your get-home or bug-out bag. It comes equipped with NOAA alerts and a digital AM/FM tuner, making the WR-111B a powerful receiver in a compact design. It is extremely portable and has a rubberized finish as well as lanyard for ease of carrying. The battery can be charged via USB, AC, hand crank, or solar panel, and a low-battery indicator lights up when battery power falls below three volts. One drawback is that it does not use S.A.M.E. technology for receiving customized alerts. The sturdy hand crank can be used for recharging while the radio is playing and conveniently folds away when not in use. An AC adaptor is available to purchase separately for plugging into an outlet; a “hard charge” via USB or AC adaptor is recommended every few weeks to maintain battery life. The WR-111B emergency weather radio also has an LED flashlight. Click the image to view on Amazon. While the hand crank and solar panel can be used to charge the radio in an emergency, keep in mind that the solar panel serves to extend the battery life but does not provide a full charge; ensure you read the instructions carefully regarding care of the battery for optimal performance. The battery is also removeable and replaceable, which is a useful feature if you intend on regular usage. This radio also includes cables and adaptors to charge different types of cell phones (mini, micro, and USB) as well as a headphone jack. When it comes to extra features, the Kaito Voyager Pro is fully loaded. The illuminated digital displays show mode, station, and battery life, as well as temperature and humidity. It features digital tuning that is adjustable via manual knob or buttons, including a number pad for direct entry of stations and programmable preset memory. The calendar, clock, and alarm are useful additions for everyday use as well as in a grid-down scenario. With a turn of the dial, power input switches from the AC adaptor, solar charger, and AA batteries. The solar panel pivots 180 degrees and is larger than most emergency radio solar panels; in full sun, it is powerful enough to run the radio directly. The included rechargeable battery fully charges in under two hours via USB or AC, while you also have the option of using the hand-crank. It receives high quality reception in FM, AM, and all 7 NOAA weather channels, even in remote areas – although the maximum volume is a bit low at 76.7 dB at a one meter distance. However, if background noise drowns out the sound, there are two headphone jacks. The antenna retracts neatly onto the back when not in use. Another feature to note are the flashlights: It has a 5-LED reading light below the solar panel for mapping and small tasks, plus a 3-LED flashlight above the hand crank. For portability, it is compact in size but a bit on the heavy side, weighing in at 20 oz; also, it is not rated for water or dust resistance. When choosing the best emergency radio for your needs, you need to consider transportation requirements, ease of use, and your particular priorities. Before choosing a radio, determine whether or not you will be transporting it, i.e. 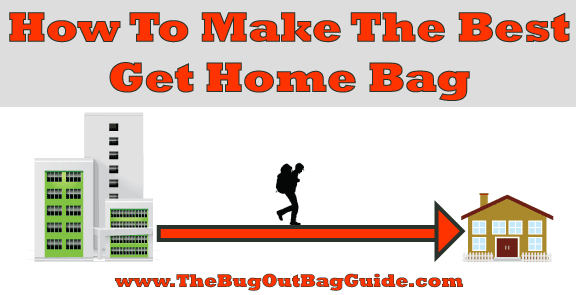 bugging out or using it in a get-home scenario, or staying put for bugging-in. For bugging-out and get-home scenarios, weight matters and extra multipurpose features will help to offset any added weight by providing key items such as a backup flashlight or survival whistle. Additionally, having a means to charge batteries for other devices will come in quite handy. If you’re traveling through the wilderness, choose an emergency weather radio that is lightweight and has self-powered options. When bugging-in, you need not be as concerned with size and weight, but local reporting features, such as S.A.M.E., will be very useful. While you may not need extra multipurpose features, a self-powered radio is always a boon, especially during power outages. If you can’t use your radio, no amount of features or alternative power sources will be of use; make sure you practice using your radio so you are familiar with all of its features and can tune in to required information channels and sources. If there are any preset functions, make sure to tune them into your local stations so everything is ready to go. Additionally, if you live in a remote area or plan on bugging-out to one, ensure your radio has the capacity to receive signals in your area. Test your radio in remote areas to make sure you can receive signals from your local stations. To make sure you get the best value for your money, think carefully about your needs before purchasing and choose a radio that addresses all your must-have features. When cut off from everyday technologies we depend on, such as cellular and the Internet, staying informed and receiving the information you need to optimize your survival plan becomes a real challenge. Don’t be caught off-guard; safeguard your survival by staying informed during an emergency, no matter what. Choose an emergency weather radio that best serves your purposes and will provide the most value in a disaster. Most important, use your radio regularly so that you become familiar with its various functionality and are fully prepared to stay connected when disaster strikes. Have you ever used an emergency weather radio before? Have you used one in an emergency? What was your experience like? Share your thoughts and questions with us in the Comments section, thanks! Inspiration for new preps can come from unexpected places sometimes. This happened to me when I was last visiting my parents and had the opportunity to take my Dear Old Dad’s quadrocopter drone for a test flight. The drone, a Phantom 2 by DJI was a blast to fly around. It also sported an HD camera that took high quality footage of us and the surrounding area. It was surprisingly easy to control, even for a novice (me). Watching the drone soar got me thinking, are there any applications to prepping that a drone could be used for? How Would A Prepper Use A Drone? I gave it some thought and came up with a few specific situations where having a drone on your side would be handy. Most of these center around bug in scenarios as no one is going to want to haul around a power source or copter when bugging out. In particular, using your drone to patrol or inspect your perimeter or the surrounding area would be a huge advantage to have. Note: This is not intended to be an exhaustive overview of drone technology or all of the models that are available. But, if you are planning on bugging in, it may be worth giving a drone some thought. Me taking Dear Old Dad’s drone for a spin. Your first line of defense in protecting your premises will be to build a perimeter security system that will alert you to the presence of trespassers and help you to prepare for any conflict – providing you with the upper hand defending your home. In addition to this, having a drone on hand to inspect damage or investigate a disturbance would be a major advantage. While the use of drone technology for surveillance dates back to WWI, only recently has it become accessible for private use. With fitted cameras, sensors, and state-of-the-art flight capabilities, drones are showing that their usefulness extends well beyond simply serving as a hobby for aerial enthusiasts and photographers. Any unmanned aerial vehicle (UAV) or remotely piloted aircraft (RPA) is considered a drone. The majority of commercial drones are multirotors, with the most popular being quadrocopters (4 rotors). Most modern drones can be fitted with a camera to provide the operator with a bird’s eye view of the flight path, and some modern commercial drones come equipped with cameras already. Drones are not merely military devices that function as insanely fun toys for the masses. They also have practical commercial applications including monitoring livestock, pipeline security, road patrol, search and rescue, wildfire mapping, videography and anti-piracy. As drones have the ability to pursue a manually-operated or automated flight pattern, they make ideal tools for homeowners to safely surveil their property without putting themselves in harm’s way. Additionally, drones can be fitted with a variety of supplementary features including speakers, tasers, mace, and infrared or night vision cameras. For some models, flight paths can be monitored through smartphone and tablet apps. Effective perimeter security allows you to monitor what’s happening around your property from the comfort of your home or shelter and provides you with advance warning of any trespassers, giving you the upper hand. Depending on the cause and length of your bug in situation, your property may become a target for other survivors, desperate to take your supplies by any means possible. When determining your security needs, consider your location in respect to its proximity to civilization and roadways, as the more accessible you are to others, the more of a target you become. Why Use a Drone For Perimeter Security? In terms of perimeter security, drones provide several advantages over mounted cameras or simply patrolling the property yourself, including mobile video surveillance, remote control and stealth. Unlike a mounted camera, which is fixed on a designated area, drones are mobile and provide an unlimited field of view. The real-time video surveillance capabilities of a drone provide the ability to immediately assess whether a disturbance is a threat or welcome members of your team. The ability to operate and control the drone from a distance not only keeps the operator out of harm’s way, but also facilitates the surveillance of large areas in a short amount of time and of areas that would be treacherous to travel by foot. Drones are generally very quiet and have long range view capabilities. Additionally, drones cannot be avoided or tampered with as can a mounted camera. One drawback to drones is that, yes, they can be shot down by an intruder. But most people would much rather lose their drone than their own life. What Type Of Drone Would A Prepper Buy? You can find drones that sell for as little as $50, but if you want a durable, top-rated model, you’ll need to spend at least $1,000 or more. Drones can be purchased ready to fly or in kits that you assemble. If you plan on adding several of your own features, a do-it-yourself drone is probably the best option; in fact, several brands offer a modular design that adapts well to add-ons. What Features Should I Look For In a Perimeter Defense Drone? There are a variety of different features that can be added to drones, the best ones for you depend entirely on your situation and particular circumstances. For instance, drones come with varying levels of user control, with the most extreme being completely autonomous drones that patrol without any human interference. Depending on your needs, an autonomous device may be ideal or you may want some level of manual operation to check on specific disturbances. Detection software, which can be installed to recognize perimeter breaches and immediately send the drone to the vicinity of the breach. Additionally, this software can be synched with an invisible infrared geo-fence, motion detectors, or seismic sensors, that can all be positioned in key locations around your property. Flight time charge, this is a crucial factor as you want to ensure the desired flight path can be accomplished with a single charge. Safety features, including proximity sensors that will detect and avoid objects in the flight path, emergency landing gear in the event of mechanical failure, and a ‘return-to-base’ function in the event the battery is low or the connection with the controller is lost. Video, this can be displayed on the controller, streamed to a smartphone or tablet, or connected via video goggles for a first-hand, virtual reality experience. If you won’t be actively monitoring the flight path, you can also have the data sent to a DVR for viewing at another time. OK, So Which One Should I Choose? What Else Should I Consider Before Investing in a Drone? Remember that in a bug-in situation, power will be a scarce resource. As drones are battery powered, battery life should be a top consideration as well as having an alternative power source at your bug-in location. For instance, in the case of power grid failure, drone surveillance would be rendered useless without some other means of providing power. In some situations, you may also need a license to operate one. While these regulations will be of little concern in a SHTF situation, be aware of them now to ensure you stay in compliance while practicing with your UAV. Drones can be an excellent choice for perimeter security but involve a significant financial investment and require a decent amount of electrical and aerodynamical knowledge to maintain. Drones are also highly dependent on having a readily available electrical power source, an option that may not always present itself in every bug-in scenario. If you are considering using a drone for perimeter security, it is also important to keep an eye on the development of FAA regulations, which are only in the early stages. The technology to remotely surveil your property and protect your family and supplies from intruders is here now, and it will only continue to improve. If you have a large property and are planning to bug in, a drone may be a smart investment. Always remember, when it comes to survival, chance favors the well-prepared. Have you ever owned or operated a drone? Would you consider using a drone for perimeter defense? Share your thoughts with us in the Comments Section below, thanks!